Modern wooden dining chair with a feature circular window back design. Available in a choice of 17 wood finishes and an upholstered seat option. Designed for contract use. 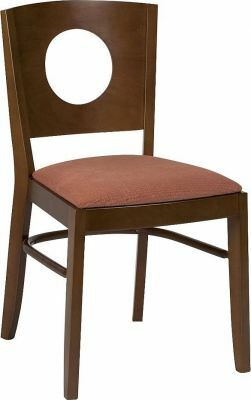 Fully built solid wood veneer dining chair option, complete with an extra padded cushion. Available in a wide range of contract upholstery options to suit your cafe/ restaurant.